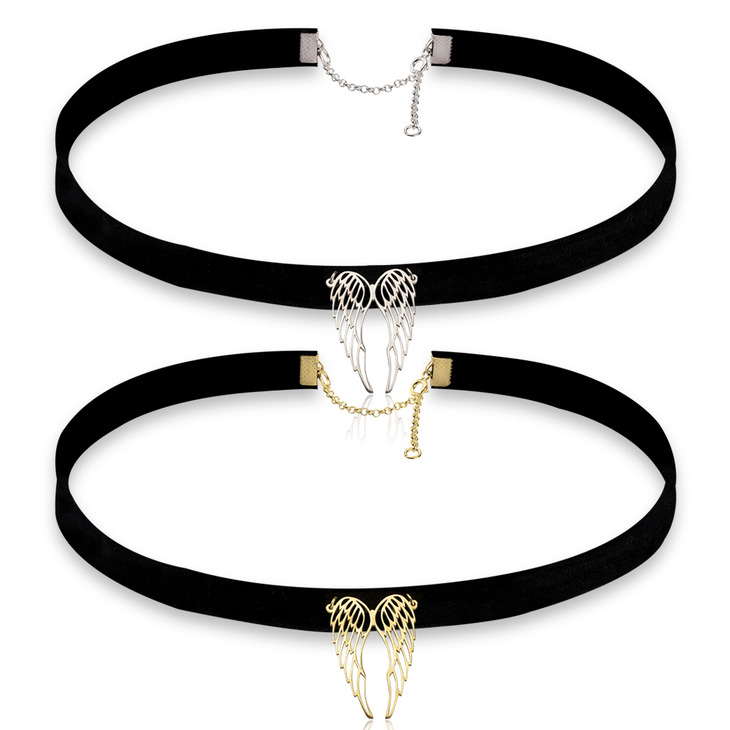 Always keep your guardian angel close with an angel wing choker necklace of your very own. This angel wing design is a meaningful symbol, to provide strength and protection. This exquisite choker necklace combines the popular choker trend with a timeless and elegant symbol, the perfect statement accessory that's bound to turn heads. 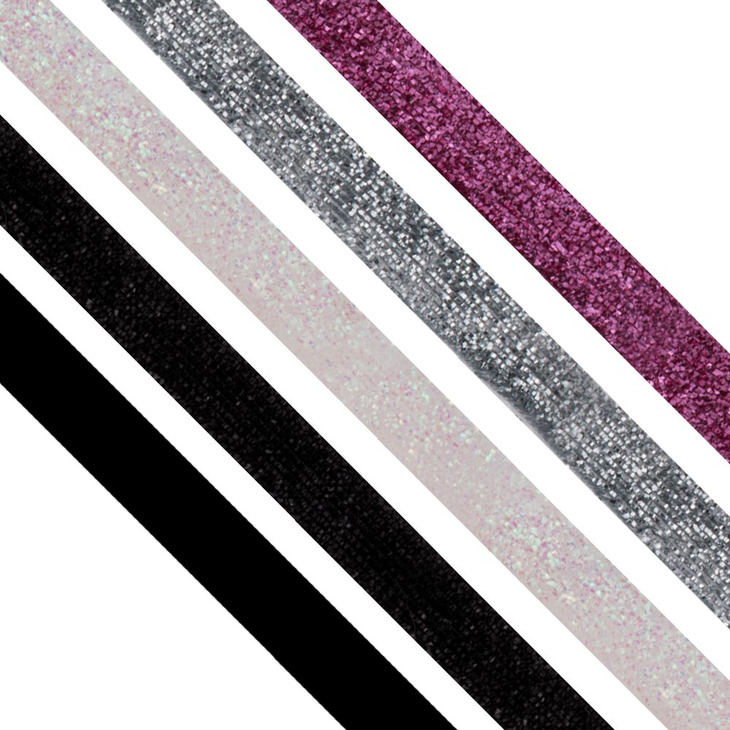 Order yours today in your choice of sterling silver, gold plating, or rose gold, on a band in the material of your choosing, ranging from black velvet to white, silver, and pink sparkle. Shop Now! 23.3mm x 32.5mm / 0.9" x 1.3"